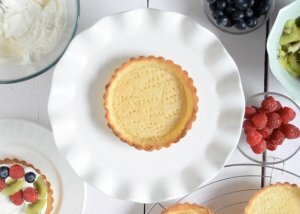 The simplest recipe ever to make tart shells without eggs. This recipe requires no blind baking, just some simple ingredients and a few steps. 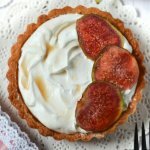 Tart shells have always been a mystery to me, which is why I’m dedicating a whole blog post to them. Until a few days back, I was petrified of baking tarts because a) they just seemed like a lot of work and b) I’ve screwed up quite few recipes in the past which destroyed my confidence completely. But with the right recipe and the right equipment (I’m using the tart tins by WhisQ India; you can buy them at all Foodhall India Stores or here) , no food dream is too big! I’ve perfected the ultimate eggless tart shell recipe and I’m crying with joy here! 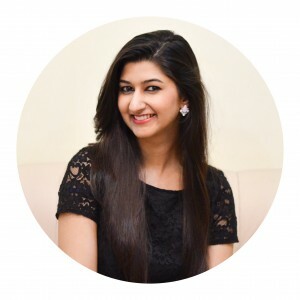 I’ve collaborated with this amazing brand WhisQ India that makes high quality bakeware in India. When they sent me these cute 4″ tart tins to try some recipes with, I was ..you could say..in a pickle. But I mustered up all the courage I had, researched endlessly and baked these beauties. Tart shells although seem very harmless, can actually be quite tricky. They shrink, they puff up, a million things can go wrong with them. Which is why the internet is full of recipes that teach you how to tame this beast. But most of these recipes will tell you to “blind bake” which basically means putting weight on the pastry while baking to make sure it doesn’t puff up or the sides don’t shrink. It seemed like the “right” way to do it, but unknown territory confuses and terrifies me, plus I didn’t want to invest in pie weights. 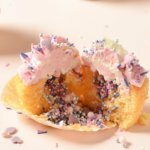 I started looking for easier ways to do this which is when I came across Smitten Kitchen’s – The Great Unshrinkable Sweet Tart Shell Recipe. This recipe meets all your expectations and the tricks that you learn from this blog post are invaluable. I researched a lot but this blog post is what cleared things up for me. 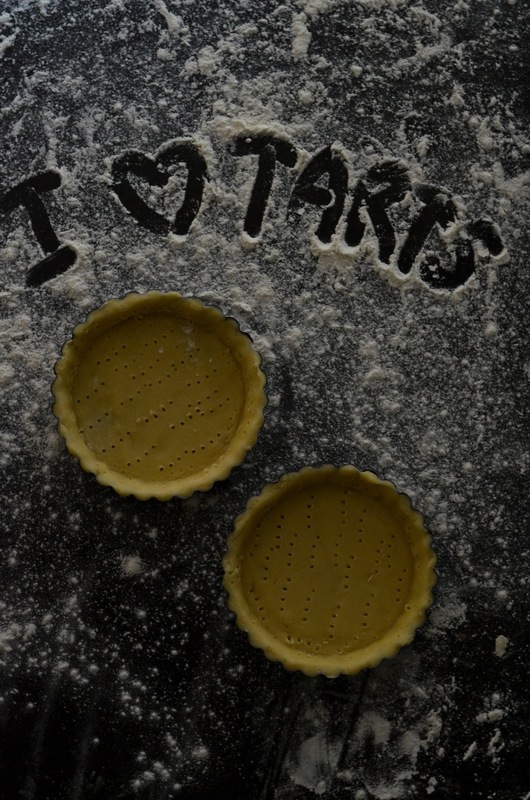 To avoid blind baking you need to freeze your tart dough twice before baking – first, before you roll it out and second, when you line your tart tins. This will prevent shrinkage. Most people only do the former, but the latter is what you should be doing. 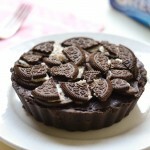 I did this without the foil (read point 2), and my tart didn’t shrink BUT it did puff up quite a bit. 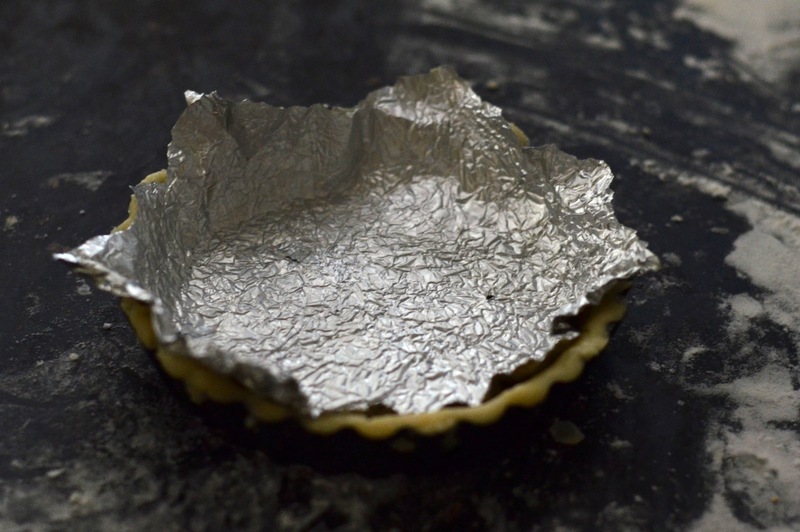 To avoid shrinkage and puffing up, take a piece of foil paper, brush the shiny side with some butter and lay it on the pastry, shiny side down. 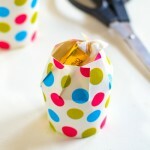 This will do wonders for your tart shells because they will not puff up a bit. No blind baking! yay! 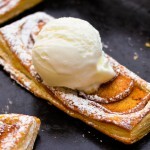 If you’ve been avoiding baking tarts, like me, this recipe is for you! It’s simple, quick and fool-proof. You couldn’t mess things up with this one even if you wanted to. Simple follow the recipe to the T and the steps carefully, and you’ll have delicious tart shells that you can fill in with your choice of frostings. The great things about this recipe is that if you’re not ready to bake the tarts immediately, you can just freeze the tarts (like you don step 10) and keep them frozen until you’re ready to bake. You could freeze them for days without a problem! Make sure your freezer is clean and the tarts don’t catch any bad odours though. Once they're incorporated add the cubes of butter. Using the tips of your fingers, rub the butter into the flour until all of the butter is mixed in and you're left with a grainy looking mixture. Try and get it together to form a dough. Ideally it should come together as the heat from your hands will also melt the butter slightly but if you have trouble bringing it together add a little chilled water (start with a teaspoon and build it up from there; you can always add more but you can't take it away so add sparsely). Shape the dough into a disc, wrap it in cling film and refrigerate for atleast 1 hour. Take the dough out after an hour and lay it on a clean surface. Sprinkle flour generously on the surface and on the dough as well to make sure it doesn't stick. Roll it out with a rolling pin until its about ¼th of an inch thick. This step is crucial - Take your tart tin and place it on the rolled out dough. Leave a gap of an inch and now make a circle around it. Take the rolled out pastry dough, and line your tins with it. (You could roll the dough out in between two sheets of cling film to help you lift it.) Do not stretch the dough or your tart will shrink. Be easy with it. (If you think your pastry is falling short, roll it out again.) Trim the excess dough hanging from the sides. Prick the tart with a fork all over. Next, this is crucial, take a piece of foil paper and brush the SHINY side with butter and lay it on pastry, shiny side down. This will prevent your tart from shrinking and puffing up. If you skip this step, nothing major will happen only that your tarts will be puffed up (you could pat it down). Freeze your tarts for 30 mins. This again will prevent any shrinkage. 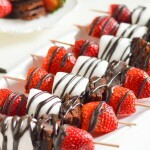 Bake them in a preheated oven at 180 degrees celsius for 10 mins. Then, take off the foil and bake for another 2 mins for the crust to brown slightly. Your tart shells should be golden and biscuity by this time. Let them cool for atleast 30 minutes before you start filling them. 1. One cup here refers to One measuring cup which is about 240ml. Please use the correct measuring equipments to ensure best results. Buy measuring cups here. To find out more about WhisQ and it’s line of bakeware, head here.